I don’t do hectic holidays. I only spend time with people I like, which is a very, very limited list, and I don’t put on pants unless I absolutely have to. So when it comes to Thanksgiving, I have two goals: eat a ton of junk and have a freakin’ good time. I want to be as relaxed as Sammie. Nothing gets to him. He sleeps, eats, and ruins all my nicest crap. 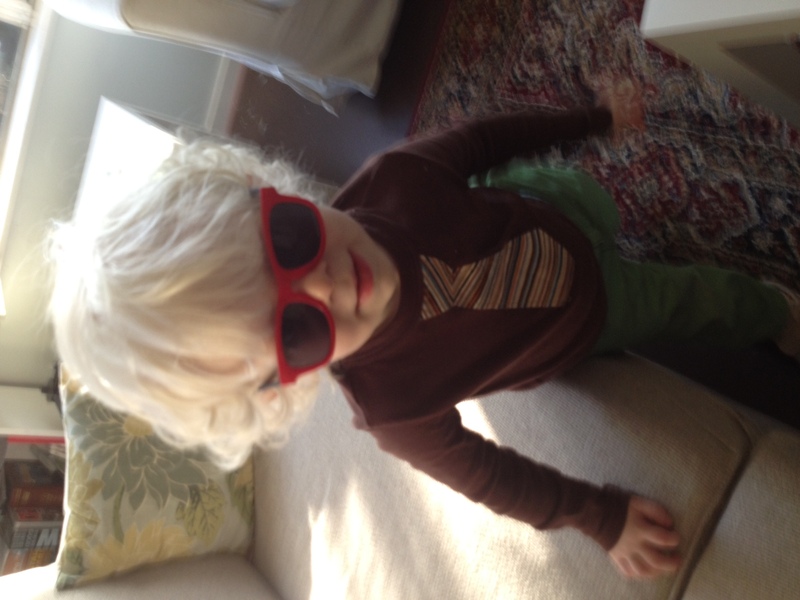 He is one cool customer. For the last 10-12 years I’ve been doing Thanksgiving on my own. I don’t do turkey. It’s dry. It makes you sleepy. And if you cook the stuffing on the inside of the bird, one could contest that the bready delight is, in fact, a health hazard. I make prime rib. It’s awesome and delicious. 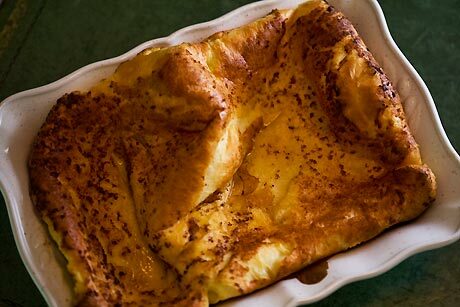 And you get to make Yorkshire Pudding instead of stuffing, which is a million times better. 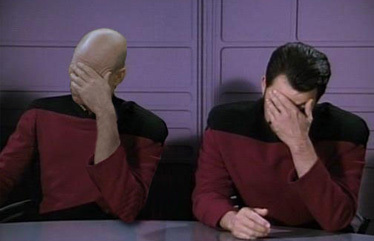 Don’t know what Yorkshire Pudding is? 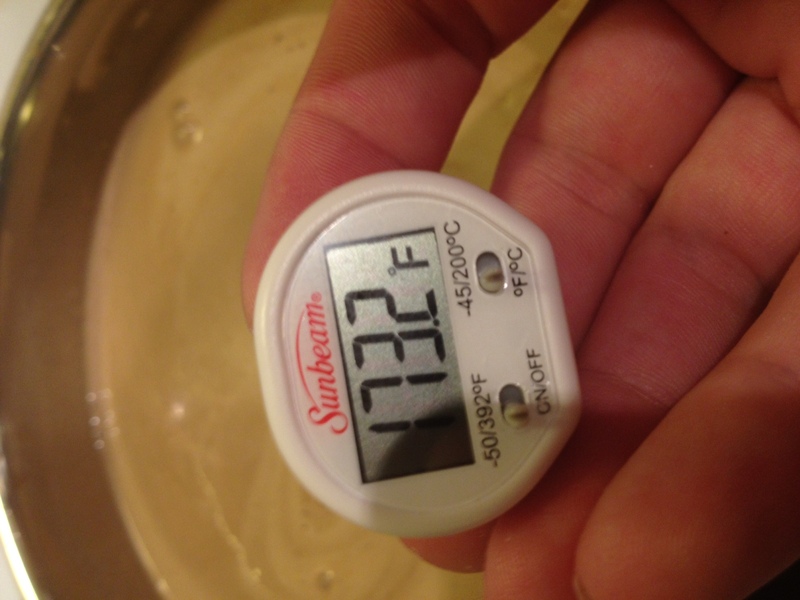 You take the drippings, the liquified fatty fat fat-fat, from a prime rib and you heat it to 500 bagillion degrees. Then you pour a mixture of flours, eggs, and milk in the searing hot heart stopping grease and it sizzles up to make a thinish, soft bread. It’s awesome. And is absolutely awful for you. I normally eat the left overs for breakfast the next morning. Totally cold. Ahhh, yeah. I invite any of my friends and all of my family to join. Normally, my parents have to host on Thanksgiving for other parts of my family so they’re always out. It also doesn’t help that I live 1800 miles from them (not an exaggeration). This year we had our friends Tim, Angie, Nick & Tania, over along with N&T’s two kids, Nicco (5 months old and slept the entire time, except for the 5 minutes that Chip made her cry) and Dexter (a super awesome, laid back, and independent 2 year old). How many toddlers do you know that can both recite the alphabet and ask for prosciutto? He’s awesome. And the food was a breeze. On top of the prime rib, Chip made ice cream to go with Tania’s amazing salted caramel almond brittle tart, which I would have taken a picture of, but we inhaled it at the speed of light, and I made my family’s greens recipe for a side. First the good stuff. We made 2 batches of ice cream: Madagascar Vanilla bean and Coffee Vanilla bean. Two batches are roughly equal to two quarts and take EIGHT egg yolks per batch, for a total of SIXTEEN egg yolks. 1 cup each of brown and white sugar gets whipped with 8 egg yolks. You just cream them together until you think your arm is going to fall off. In a sauce pan over medium heat mix 3 cups of half & half, 1 cup of heavy cream, and the inside of a vanilla bean to 170 – 175 degrees, stirring constantly. It’s best to do this with two people. My attention span is nil and this is quite the process. Then you temper the egg and sugar mixture into the warm milk. Slowly – SLOWLY – add a little milk to the eggs and stir. Little more milk, little more stirring. 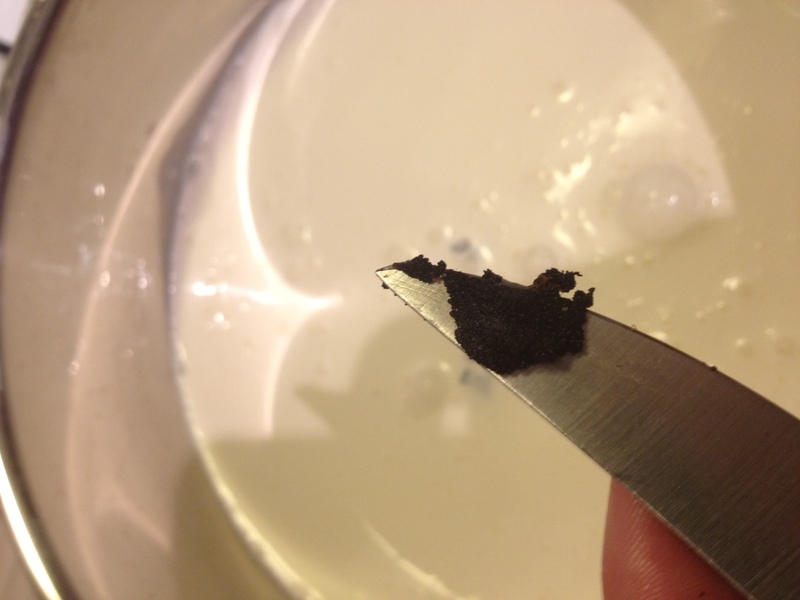 Once the eggs are warmed enough so that they won’t cook if added to the milk mixture, completely combine the two. Again, over medium heat and stirring constantly, bring the egg-sugar-milk mixture to 170 – 175 degrees. 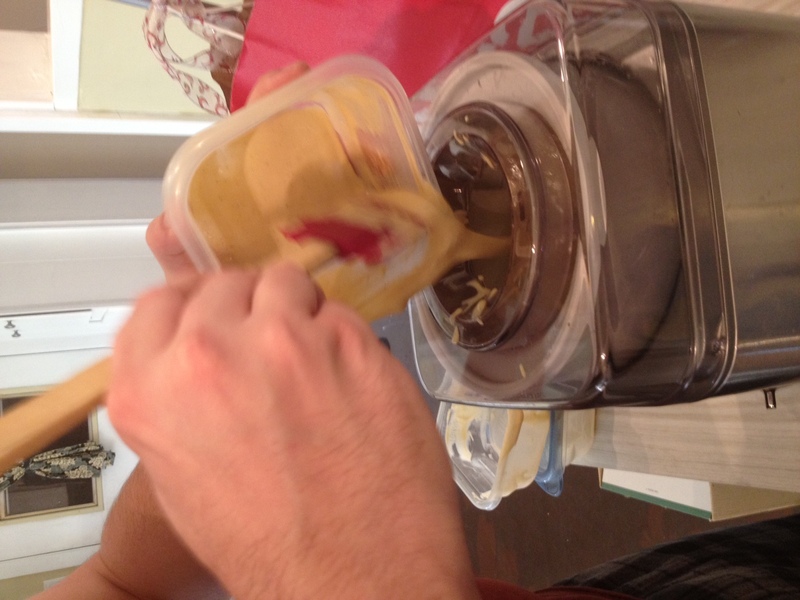 Then remove it from heat and strain through a sieve into tupperware. This makes for velvety smooth ice cream. 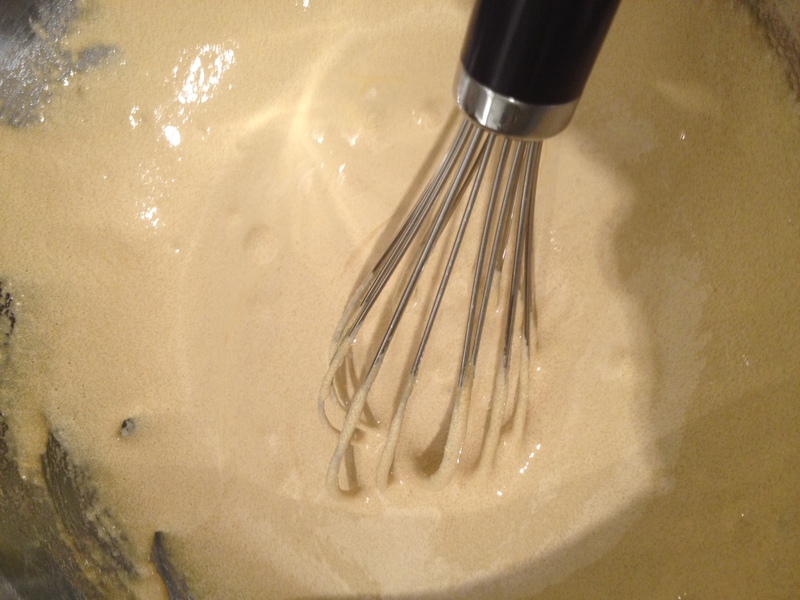 Once the strained mixture has cooled, place it in the fridge to be thrown into an ice cream machine on another day. For our coffee flavor, we mixed a couple of tablespoons of decaf instant espresso into about 3 tablespoons of hot water, which we then added to the milk mixture. Yes, we could have just added the instant espresso to the hot milk mixture, but we wanted a little bit more control over it and wanted to make sure the crystals dissolved completely. So, that’s pretty much it. Toss the custard mixture into an ice cream maker (we have a Cuisinart), let it go for 20 minutes, and then throw it into the freezer. On Thanksgiving we had fresh home made ice cream and french toast for breakfast. Perfect. Not for nothing, but the above picture is Chip. I am an Italian American lady, so I am certainly not without hair – the darkest, thickest fur you’ll ever see on a being that is neither man nor Sasquatch – but that hairy hand there is Chip’s. Sure, we roasted potatoes and had the Yorkshire Pudding, but the side that took actual work was Greens. My whole life I’ve only ever called this dish “Greens”. “You want some greens?” “What’s for dinner? Pasta and greens?” “I have the world’s worst gas – it must be from the greens!” Greens are easy, delicious, and make great leftovers. 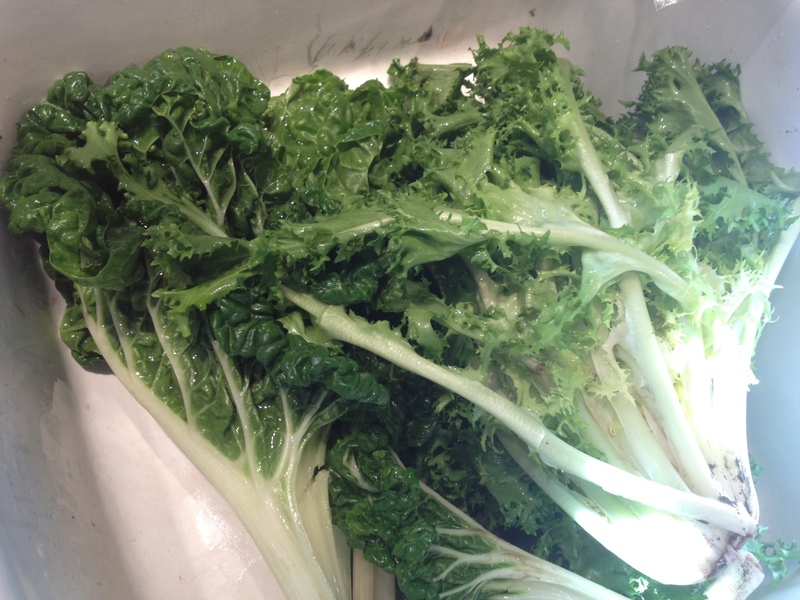 You take one or two clean bunches of swiss chard and a bunch of escarole and roughly chop them. I couldn’t find escarole any where so I finally settled for a bunch of endive leaves, which the checkout lady ironically rang up as escarole. Toss the chopped leaves into a big stock pot that has been filled with 3 inches of water, one potato that’s been cubed, and 2 tablespoons of salt. 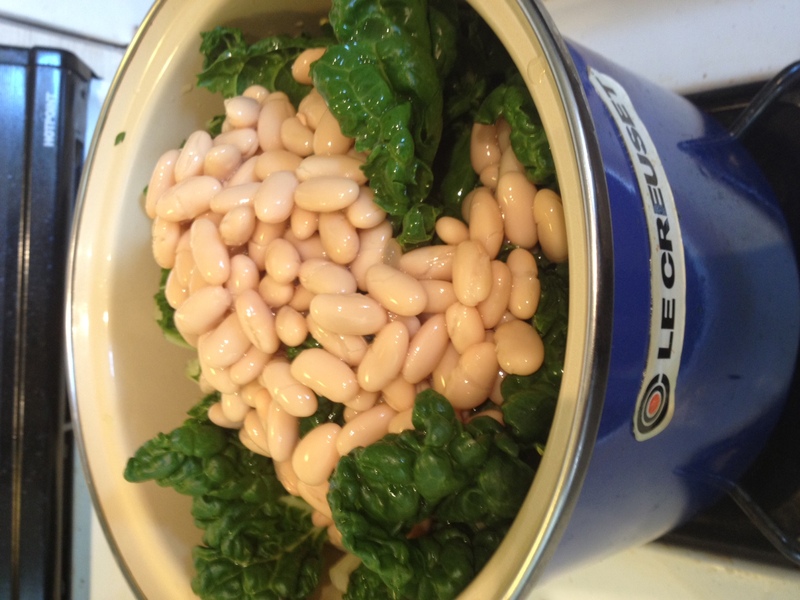 Add a can of Cannellini beans to the top and cover. Boil away for 10 minutes, then add a bag of spinach; I used a bag of baby leaf spinach you can find with the rest of the salad mixes in your grocery store.Continue boiling for another 5 minutes. Then chuck every thing into a strainer and sprinkle with salt. Put the stock pot back over medium to medium high heat and add 1/2 cup olive oil, 3-4 cloves of garlic roughly chopped, and red pepper flakes to your heat tolerance. Saute for 3-5 minutes. 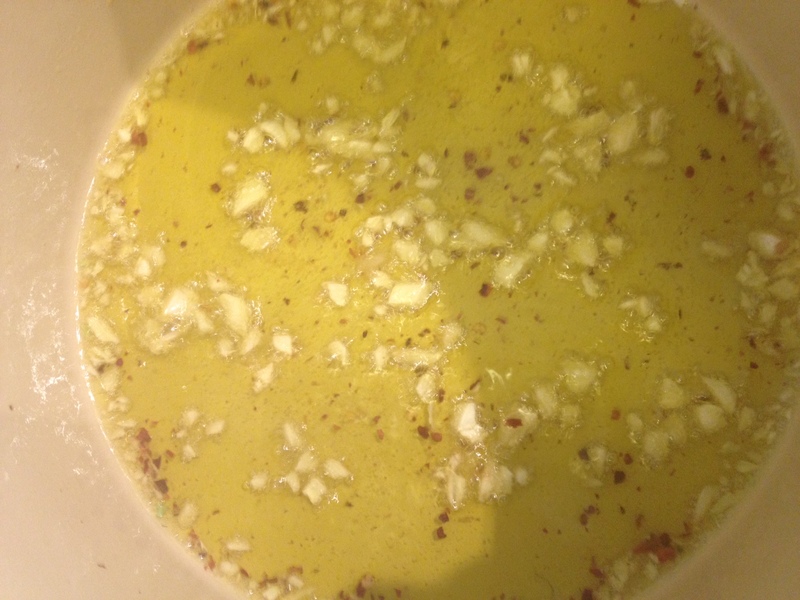 You’re infusing the oil, but you don’t want to brown the garlic. 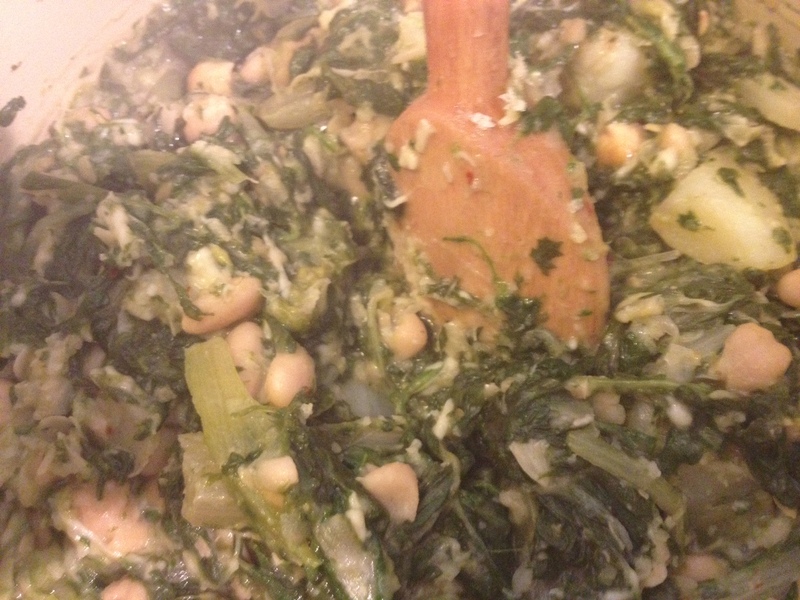 After a few minutes add the greens, beans, and potatoes back to the stock pot and stir. Continue cooking for an additional 3-5 minutes and then remove from heat. The greens should be fairly moist. Feel free to add olive oil as needed if you feel they’re too dry. Add 1/4-1/2 shredded Parmesan cheese and stir. Finally, add 1/4-1/2 cup of bread crumbs, stir, and call it a day. You’re done. Those greens are good right now; they’ll be even better tomorrow. You want serious awesomeness? Take some chiabatta, a chicken cutlet and provolone. Make a sandwich and before you put the top piece of bread on, add a scoop of greens. Crazy good. I got up, got out, and got all my Christmas shopping done. I even got my father is birthday gift. He was born on Christmas day and his name is Chris. Reeeeeal original there, Grandma. When I say that I got up, got out, and shopped what I mean is this: I went to the gym at 9am, went home, and went to Amazon.com. Speaking of which, their site was SO NOT PREPARED for their own Black Friday deals. It was crashing for hours. I was shocked. So, in that sense, my shopping spree was a little annoying. Not so annoying that I had to put on pants, look at people, or mace anyone, but slightly annoying. On Thanksgiving day, I had had ice cream for breakfast, prosciutto and melon for lunch, and was so tired of cooking that by the time the roast came out of the oven, I couldn’t even stomach it. I pretty much just munched away on steamed broccolini in fresh lemon juice. Even still, I managed to eat enough that on Friday I didn’t really want to eat anything. I had a lot of coffee, put Christmas lights up on my house for the first time ever, went to play with dogs at the new Austin Animal Shelter, and enjoyed a quiet house. To commemorate a calm evening in a clean house after a successful holiday, Chip and I decided to let loose, get loaded, and watch a ton of BBC& TNG over homemade pizza. The man child rarely strays from his old standby of pepperoni. I, however, like to change it up. I like experimenting with sweet sauteed onions, sharp cheeses, and smokey chicken or bacon. Sometimes I bake a crust with just olive oil, parm, and garlic. Then I top it with salad lightly tossed in honey and lemon juice and add slices of pear and crumbled blue cheese. I like little to no sauce on my pizza, good cheeses, and different levels of flavors. Man. It sounds like I eat super pretentious pizza, huh? Well, what are ya gonna do? If you’re interested in making pizza at home here’s the best tip you will ever get: Buy dough from your favorite pizza place. Seriously. I haven’t walked into a place yet that wouldn’t sell me their dough without question for $3 or $5. In Austin I’ve purchased it from Mellow Mushroom, Central Market, and Home Slice, but really, if you want awesome pizza in the capital of Texas just eat in at Home Slice or Red House. Home Slice is by far my favorite, awesome pies and great staff, but Red House not only has great slices, but also the best fried calamari I’ve had since the last time I ate in NYC. 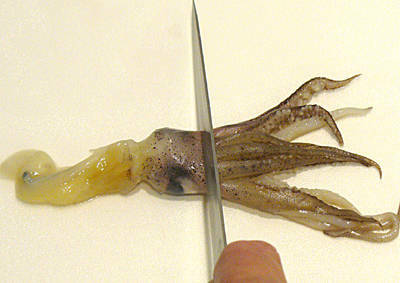 Lots of tentacles, my favorite. Anyway, I thawed some dough, I stretched it out, and I started prepping it. I do not use a roller. You can cheater, if you really want to quitter , but it’s really not that hard to delicately stretch it using your fists and I find the dough just bakes better so stop being a baby and use your hands. I prep my dough by rubbing olive oil over its surface, add garlic, parm, and a sprinkle of kosher salt and cook on the lowest rack of a 450-500 degree oven for 5-10 minutes, just until parts of the bottom become golden brown. Then I add the toppings. For the pizza last night I sprinkled mozz and provolone cheese of Chip’s side with a smattering of pepperoni. 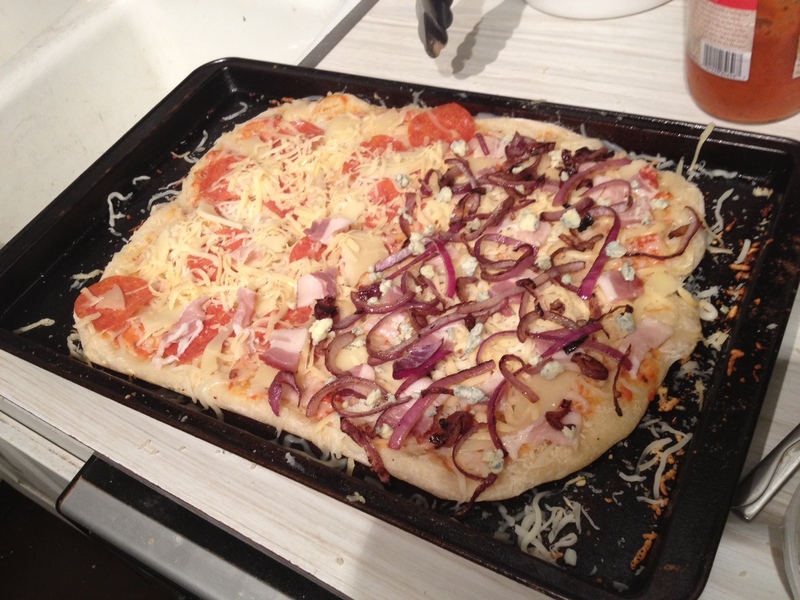 On my side I did mozz, smoked Gouda, provolone, blue cheese, sauteed red onion, and bacon, with most of the fat removed. On Thanksgiving our dryer broke when all of our kitchen towels were in the washer. And, ironically, it’s been raining for the first time in months. I’m explaining this because between the vodka&coke’s and the lack of napkins during cooking, I improvised my own wipe cloth, much to the amusement to Chip. Listen: They are large and in the way of everything, so when I’ve been drinking and don’t have kitchen towels, my set o’ twins become nature’s napkins. I don’t know why I didn’t use the paper towels you can see over my shoulder. Ask Three Olives Vodka. All that matters is that dinner the night after Thanksgiving was great. An excellent evening all around. 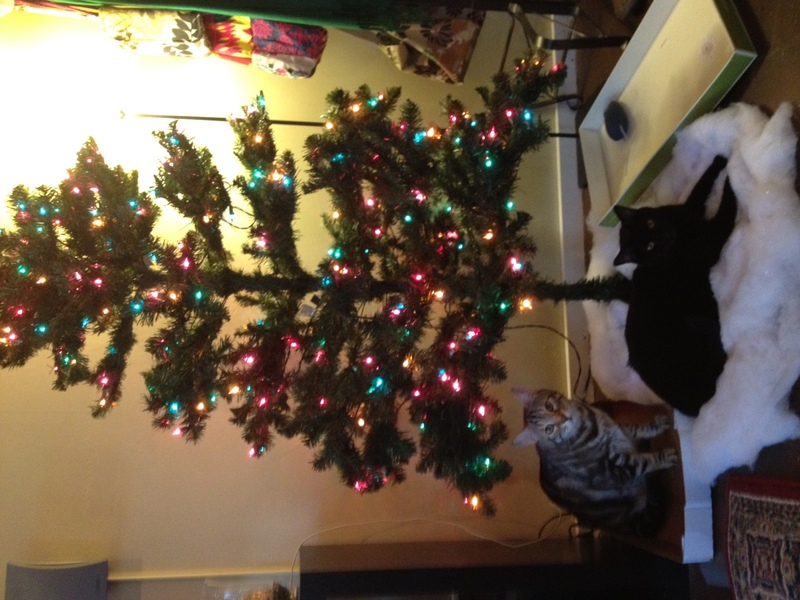 We even broke the tree out of it’s exile for the last two years in the garage (we didn’t decorate last year), much to the enjoyment of the brat cats. 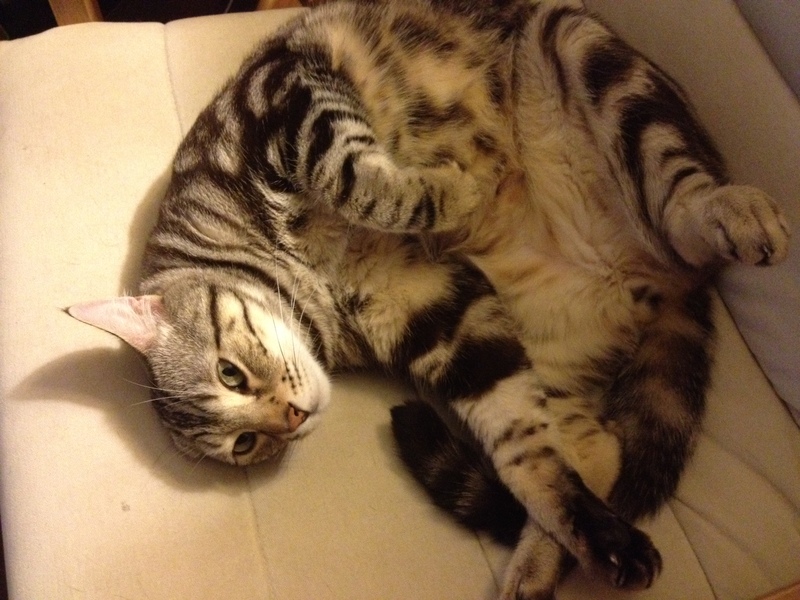 I really don’t remember the tree being so pathetic…Oh, well. 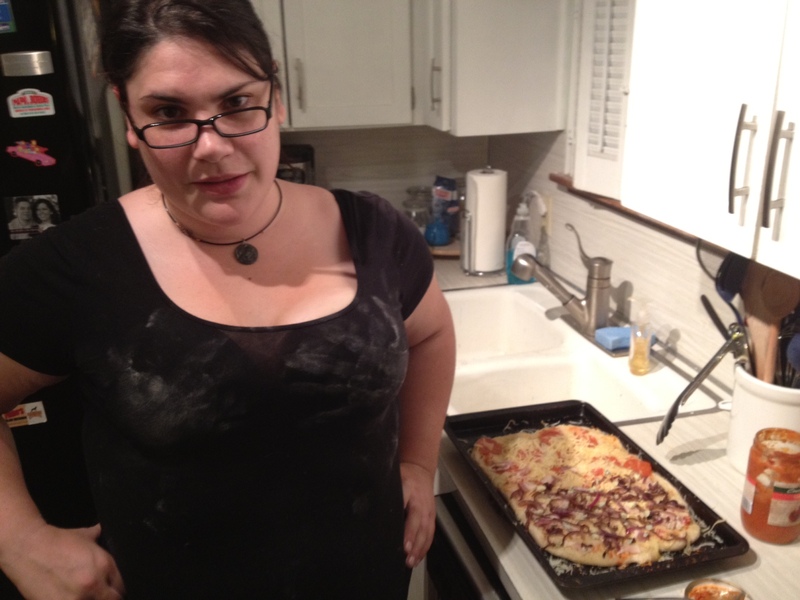 This entry was posted in Uncategorized and tagged bake, cat, coffee, comedy, diet, entertainment, family, food, friends, holiday, ice cream, pizza, recipe, side, thanksgiving, vegetable.